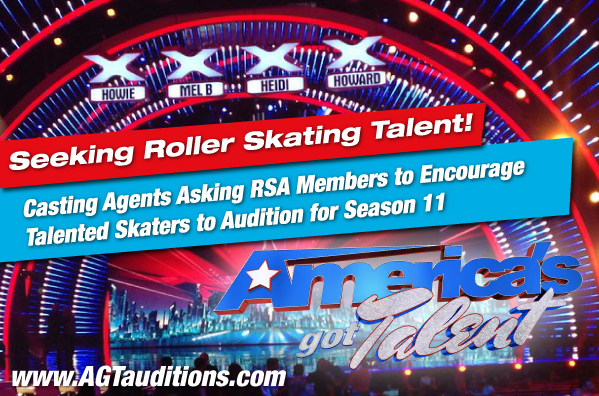 The RSAi is thrilled to announce that the casting agents from America’s Got Talent have contacted them and, because of the incredible feedback from the Season 10 roller skating act, they would like to have MORE roller skating talent on the show! In addition, participants who don’t live in casting call cities may submit videos of their talent online at www.agtauditions.com. 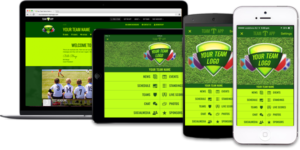 The goal is to find fun, solid talented roller skaters in any field – artistic roller skating, quirky dancers, acrobats, pairs, triplet roller skating dancers – anything skilled and unique. The casting call is open to all ages and talents from 5 – 80 years old. Let’s get roller skating on America’s Got Talent again – visit www.AGTAuditions.com for more information. Note: If you’re aware of an incredibly talented trio, duo, singer/skater, skater/acrobat or unique individual you think would be great for the show, please let the RSAi know and we will provide you with the direct casting agent’s contact info.